Mayaro, one of the most popular holiday destinations in Trinidad and Tobago refers to a large county in southeast Trinidad. It encompasses a huge bay which is very visible on the map of the country as the southernmost bay on the east coast and contains a group of villages in the interior. These villages from north to south are: St. Joseph, Beau Sejour, Plaisance (often called Pierreville), Beaumont, St. Ann's, Radix, Ste. Marguerite, Lagon Doux, Grand Lagoon and Lagon Palmiste. The Mayaro Beach which skirts the Mayaro bay is one of the main pulling factors that brings people from all over the country to this relatively remote area for time away from the hectic city life. The etymology of the name, 'Mayaro' originated from the Arawakan mainstaple 'maya' which was a plant in abundance in the area. The end of the word, 'ro' is the Arawak term meaning, "the place of," hence "the place of maya" or "Mayaro". In 1783, French planters and the enslaved Africans settled in Mayaro after accepting the grant of land offered by the Spanish Governor, Don Jose Maria Chacon. Most of them had fled to Trinidad to escape the unrest in the French islands including Guadeloupe and Martinique. Chacon had embraced them to help develop the economic prospects of the island as well as some of the isolated and untouched areas in the country. Although few Republicans such as Hugues and Frontin were offered these land grants by Chacon, land was mostly endowed to Royalists in an attempt to separate the two warring groups and to avoid a carry over of the antagonisms that existed on the French islands to Trinidad. Since there were no roads leading to Mayaro at this time, and for some time afterwards, the sea was the only route of transportation. Despite this fact, residents in the area, which numbered about 408 by a 1797 census report, were still able to procure sixty-five cotton estates and a few coffee and sugar cane plantations as well. They would have another twenty-one in 1818, enough for Governor Sir Ralph James Woodford to introduce a round-island steamer to transport goods via the sea to the rest of the country. After the emancipation of slavery in 1838, some land was passed on from whites to the newly freed Africans. However, much of their lands were confiscated because of their refusal to pay ward rates which was a system implemented by Lord Harris in 1849. This sytem had changed, however, in 1870 when the present system of government schools was adopted. In the 1860's, the Mayaro beach was linked to Mission (known today as Prince's Town) for the first time via a trace that was cut by surveyor St. Luce D'Abadie on the request of Lord Harris before leaving Trinidad. A police station was also installed at Mayaro at that time at the end of the trace to avoid unwanted elements from coming into the village. Despite this new opening, transportation via the round-island steamer was still the more popular means to get from one part of the island to the other. It was also around this time when sugar cane production began to phase out to give way to coconut plantations. Fishing was also a popular income earner and remains this way even to this day. The 20th century was an era for great development in the Mayaro village. By 1913, the first post office was constructed in Mayaro and the delivery of mail had improved drastically becoming a daily rather than a biweekly affair. By 1914, the railway which was extended to Rio Claro (14 miles from Mayaro) also improved mail delivery and reception in Mayaro who would intercept the mail by donkey cart to Mayaro. Since then, Mayaro has developed significantly with a roadway connecting to the rest of the country, a growth in population and more varied types of businesses in the area. 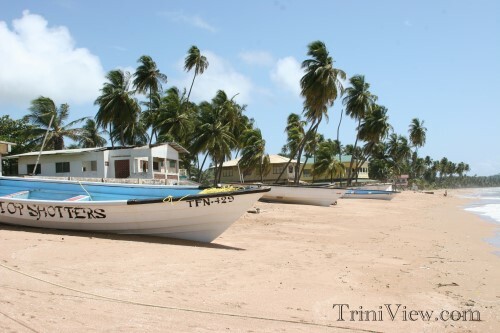 Despite these developments, Mayaro still remains a haven away from the extremities of town life and is still considered a gem of Trinidad and Tobago.